Even after many years dealing with light, lighting and effects, the task of presenting in a new light things that are worth seeing, and enhancing their emotional impact, is still one that inspires us. The equipment and the concepts we bring to a given task, whether immense or quite modest in scale, demand fresh thought – and much of it – in each case. But our essential objective remains constant: to conjure from light emotions and moments of magic.  AO Creative brings together the best creative talents in their fields. As a longtime partner of manufacturers, lighting artists and designers, our team can call upon unlimited resources for all projects. And because the best ideas need people with the wherewithal to implement them with precision, we draw upon our worldwide network of specialists to put together the perfect team for each project. We know the latest equipment and the companies that manufacture it. This enables us to create highlights and realize effects that have never been seen before. Thanks to our technical expertise, we can ensure that different technologies interact flawlessly with each other. Employing light, fireworks, video mapping, drone entertainment and interactive elements, we take your audiences on high-altitude flights filled with wonder and magic. Through the use of state-of-the-art technology and highly trained specialists, our lighting designers are able to develop and realize spectacular shows that are not only unforgettable but studded with „wow“ effects. We take into consideration both effectiveness and efficiency. Be it the presentation of architecture in a new and dramatic light or the staging of an event, be it permanent or temporary, we set out to provoke a visceral reaction in the onlooker – the „gooseflesh“ effect. Our customers value our advice and input because we bring magic and enchantment to the realization of their ideas. Our worldwide network brings together the best video, After Effects and cinema 4D specialists. They know what is possible and are always coming up with new ways of inspiring others. Despite all the sophisticated technology, the individual, customer-oriented story is invariably the main focus of attention. In the creation of all moving images, special attention is paid to the staging of, and lending of emotional impact to, the desired content as well as to the relevance of the narrative in which it is wrapped. The French writer Victor Hugo (1802-1885) once remarked that „music expresses that which can neither be put into words nor passed over in silence“. That statement remains true today. Music is an important element in many of our projects. It not only underscores but complements, stirring the emotions of young and old alike. Specially composed symphonies lend individuality and drama to each production, bringing highlights into sharper relief. Skilful use is also made, however, of works from the classical repertoire, as well as themes and motifs emblematic of the country in question. Good ideas, unless properly understood, cannot be properly realized. A crucial stage in the process is therefore the visualization (i.e. the visual rendering) of the ideas and concepts of our creatives, so that we can then discuss them. The elaborate representation of installations through static as well as animated renders makes it possible to discuss and plan them in meticulous detail. Each lighting effect is carefully tested, its visual impact assessed, and its sequencing optimized. Meticulous planning and conceptual clarity are essential preconditions for the precise realization of processes and procedures. The programming of the entire lighting choreography is of crucial importance here. This is done in advance and checked in our own studios. It is then finalized on site and the playback performed by experienced operators. We are proud to work with the world’s most renowned and creative artists in the fields of lighting, laser and video. To control and coordinate a crew drawn from a wide variety of disciplines, however, presents a considerable challenge. To ensure logistical hitches are avoided, we attach enormous importance to a thorough test phase, sedulous planning, intensive customer care and the efficient coordination of all equipment and personnel, paying scrupulous attention to any time constraints involved. It helps here that we have known our partners for many years now.